This weekend I saw that MacKenzie Childs was featured at Horchow and I wanted to share a few of their delightful pictures. 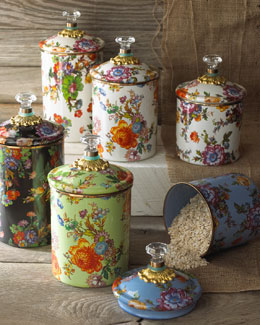 Canisters, which would be cute in the kitchen, but in the bath or home office too! 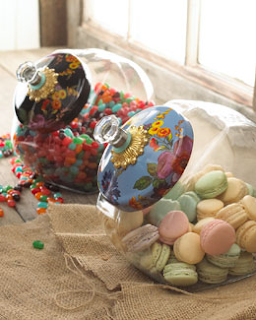 Jars for all of your favorite goodies. 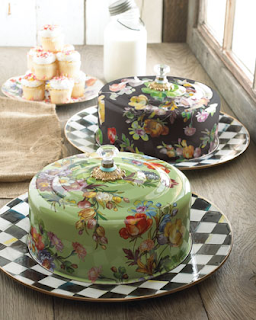 Cake plates, my favorite is the green up front. How about you? 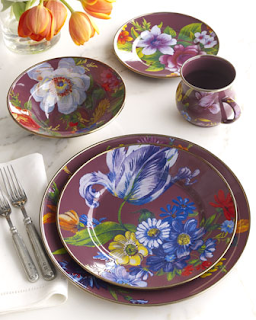 Finally dinnerware in two colors. Which don't reveal themselves to me as MC right away because of the lack of the black and white checked grounding, but are lovely. 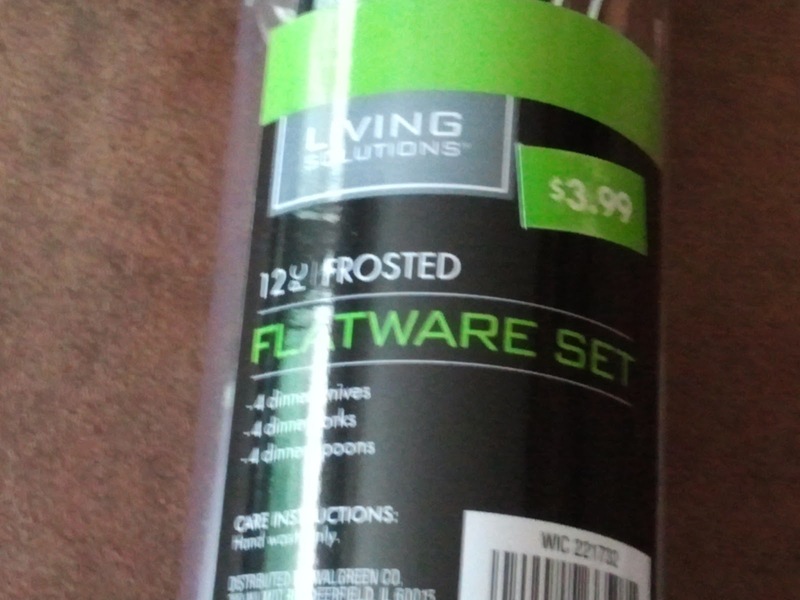 Finally the most exciting thing of my weekend, which otherwise consisted of schoolwork including a tax project and a paper about WiFi on airplanes, was this flatware find at Walgreens! i love her stuff but she is incredibly expensive! i enjoyed my visit here to your blog! Gosh, such pretty things!!! I love the way they're displayed! I don't own any MC pieces, but I would love to. It all has such a happy yet sophisticated look. Those cake plates are FABULOUS!!!!!!! Congratulations on your flatware find!!! Great buy! 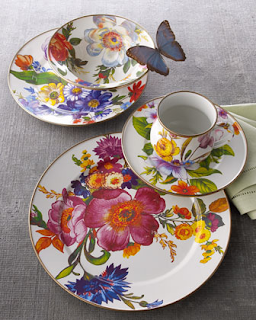 I love the whimsy of her designs.